San Francisco, California – July 28, 2017. Key Housing, California’s most popular corporate and short term housing service, is proud to announce that its Northern California featured property for August, 2017, was selected for a focus on “serviced apartments.” “Serviced apartments” are short term, furnished rentals – often to British and European citizens – who are assigned to America for a relatively short time. 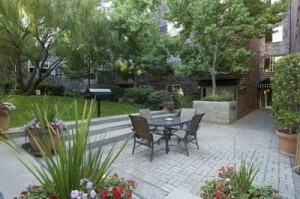 The featured listing announced is “3 Bayside Village Place” (located in San Francisco, California). Information about serviced apartments also known as furnished apartments can be reviewed at that website link as well. Europeans visiting San Francisco on business or holiday can learn more about finding a serviced apartment in San Francisco on the Key Housing blog site and browing for relevant posts such as the one. Serviced apartment amenities may include the following: home theater room, yoga and aerobic classes, heated pools, dry sauna rooms and gated underground parking. 24-hour emergency maintenance can also be found. Europeans searching for a long-term stay serviced apartment in the heart of San Francisco may find 3 Bayside Village Place the right fit. Proximity to the Embarcadero and the Ferry Building Marketplace provide convenient walking distance to San Francisco attractions. Fully furnished San Francisco serviced apartments allow visitors to live comfortably in a home-type of environment. For this reason, Key Housing, leaders in furnished and serviced apartments in San Francisco, has identified “3 Bayside Village Place” as its featured NorCal property for August. Europeans seeking a San Francisco serviced apartment in the heart of the city for a long-term stay may find 3 Bayside Village to be the right fit. If a European visitor is on business, close proximity to the Financial District as well as nearby business services could mean an easy commute. If Europeans are on a long-term holiday, walking distance to sports and the wharf could be preferable. Comfortable on-site amenities such as three heated pools and dry saunas can bring the right value-add to the visit. Based in Folsom, California, Key Housing Connections Inc. specializes in corporate housing and corporate rentals in large cities like San Francisco, Los Angeles or San Jose as well as smaller cities like San Mateo, Pasadena and Walnut Creek. Key Housing is a leader in affordable, friendly, short-term and corporate housing rentals in places like Redwood City, Santa Monica, Newport Beach and just about every city in California. Whether it’s a San Francisco serviced apartments or a San Diego furnished rental, just search, click or call today!